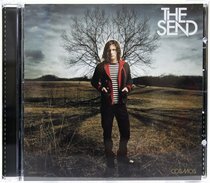 This is the one and only album from Joseph A. Kisselburgh's 'side project' The Send. Since it is a kind of 'spin off' from Falling Up, I assumed that this would be an alternative, experimental, alt-rock kind of album. I love that stuff which is why I bought it. How wrong I was! This is a 'straight down the line' mainstream rock album where every song is expertly crafted and delivered with poise and confidence. There is an extraordinary consistency to the album - not that the songs sound the same, but that they all rise to same high standard of musicianship, production and evocative lyrics. I can't recommend this album highly enough to absolutely everyone. You will enjoy every minute of this deftly performed rock opus. All of the lyrics are uplifting and they explore many different aspects of our walk with God and what it means to live in the grace of Jesus. The songs are all irresistible and I get something new out of the album every time I listen to it. 'An Epiphany' was the obvious choice for the single - play this song for anyone, any age, and they will love it I guarantee. But for me the highlight is 'Blocking the Sun':  "The city is stretched for miles and I feel so small  The city remembers me and I'm still alone  The clouds all surrounding, turning  My heart is to stone  You've been there, patiently  Trust is the river: moving, breaking  You move right through me and I am waking  You have shown me truth through trust..."